That moment when your eyes meet under the bushy green symbol of holiday romance. It’s finally happening (it’s like so Love Actually right now.) Then, you remember that extra serving of garlic mashed potatoes. Oh, why did you have to go for the second serving? (Because it’s the “treat yo’ self” season, that’s why.) We don’t mashed potato shame here at Home Chef. However, we are here to help you kiss the garlic breath goodbye so you can kiss your Christmas cutie. While the savory flavors of garlic and onions can make the tastebuds dance, they care not of the sneaky plant hanging above it all. The cupid of winter, the clever mistletoe. This mystical holiday plant offers an exciting excuse to steal a quick kiss, but can be a leafy nightmare after a meal (or two) full of garlic. We believe no one should have to forgo their favorite holiday meal in fear of spontaneous romance. 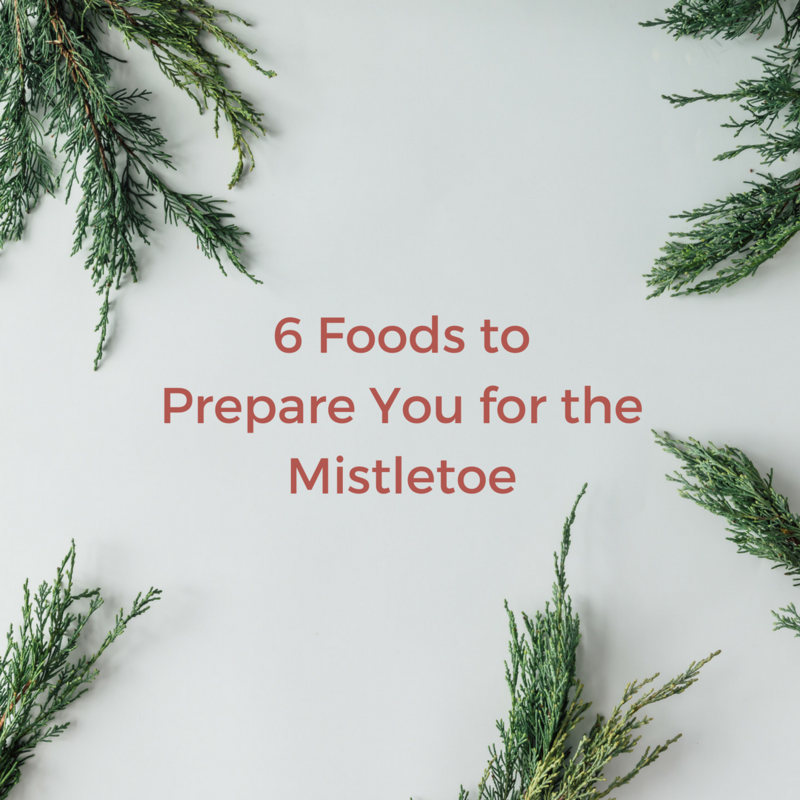 Here’s a few helpful foods you can eat to neutralize the scent of garlic and onions on your breath, allowing you the freedom to enjoy all the garlic mashed potatoes and sweet candy cane-flavored lip locking that this season can bring. It’s easy to underestimate parsley, always sitting quietly on the side of your plate being careful not to interrupt the meal. However, the chlorophyll in parsley has anti-bacterial properties that make it a natural deodorizer so when the meal is finished and your mouth is a furnace of garlic doom, you’d be hard pressed to find a better friend. This tart fruit kills bacteria in the mouth making it safe for others. If garlic is on the menu when love is in the air, reach for a lemon. A cup of green tea is the most relaxing way to banish oniony garlic breath from your life. Green tea contains polyphenols that reduce the gross sulfur compounds garlic produces allowing your breath to sweep a lover off their feet instead of knock them down. An apple a day keeps the garlic away, but not the lads or ladies! Or doctors. Don’t stop having regular checkups just because you eat apples. Whole milk has been shown to reduce the concentration of smelly compounds in your mouth so you don’t have to worry about heading to smooch town!